The Deluxe Multi Purpose Overbed Table is a convenient height adjustable table featuring a tilt top and an attractive beech melamine surface. It features genuine hardwood upstands and a small fixed side table that is useful for drinks. The Deluxe Multi Purpose Overbed Table is a convenient height adjustable table finished in an attractive beech melamine top. It features genuine hardwood upstands and the top can be set at different angles as required. 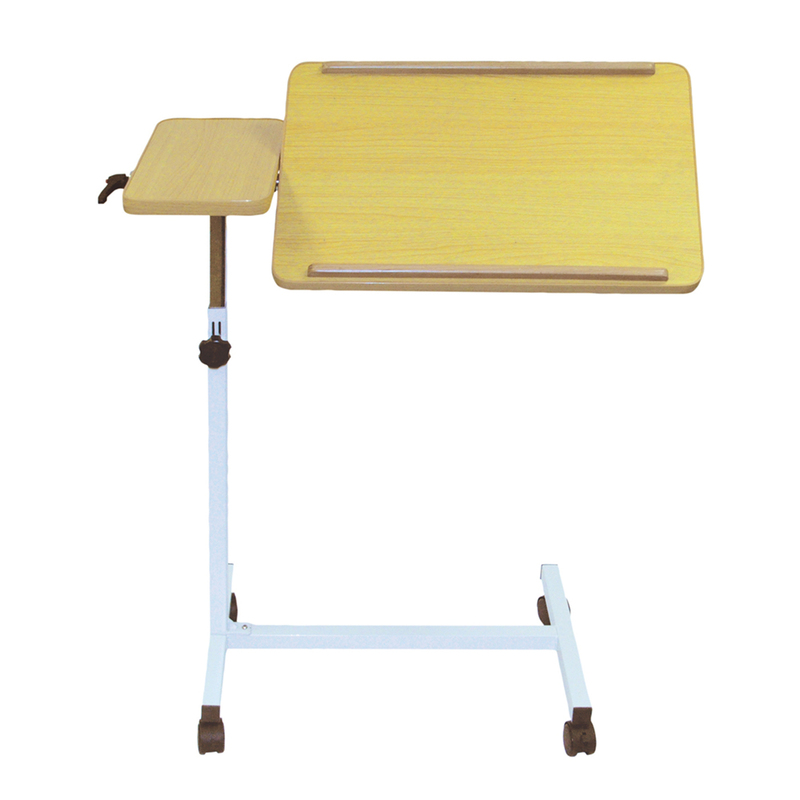 As well as the main tilting top there is a small fixed side table that is useful for drinks.